Last summer I did a lot of work on wells and springs here in Newfoundland, and one question that I asking myself in the beginning was how people managed to clean their wells over the years. It's something that I had no previous knowledge about prior to beginning the project, and something that I found zero information about online. It seemed weird to me, because I thought I would find tons of resources and methods for cleaning wells, considering so many people use them*. However, once I started asking people in my interviews how wells were cleaned, I heard the same method, or variations of it, time and time again. It seemed to me that although I couldn't find it online, it was a practice that had been long done across the province in a very similar fashion, and a tradition that was passed by word of mouth, through transmission, or through generations of learned behaviour. I wanted to take what I learned and make it easily accessible to the public, so that in the future anyone needing to clean an old forgotten well would have a place to start, with an easy to follow step by step guide! 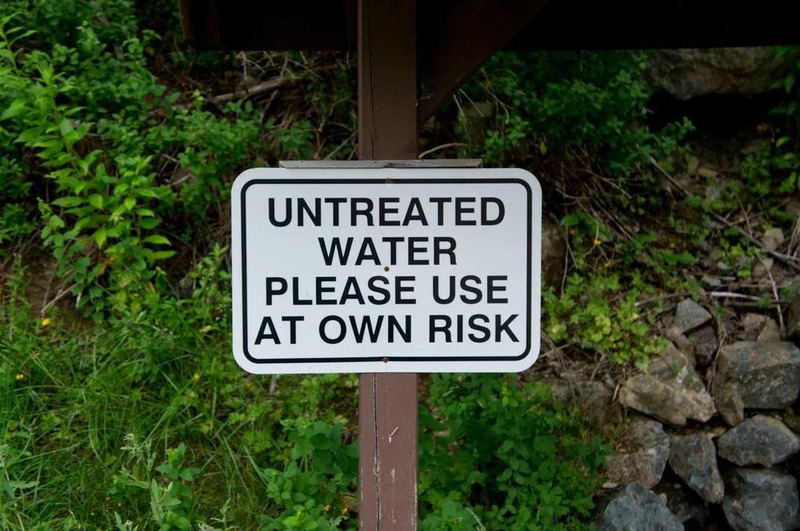 I first recommend getting the water tested, both before and after the cleaning. 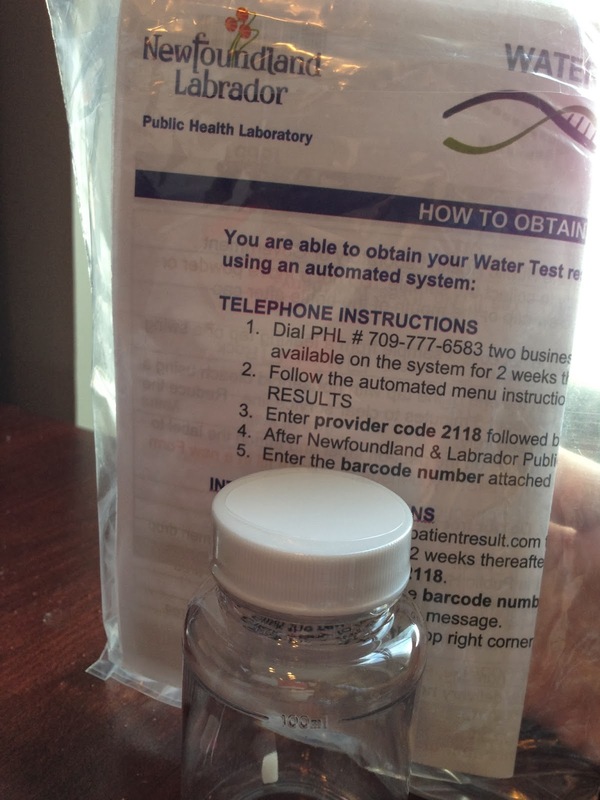 Water test kits can be picked up and dropped off at the Public Health Laboratory at the Dr. L.A. Miller Centre in St. John's, or the Service NL Centre in your area if you are outside the city. Specimens can't be older than 30 hours, so make sure you get these samples in ASAP. Once submitted, you will get both a phone call and mailed results, with a detailed explanation of what that means. In order to clean your well you first need to drain it. Depending on the depth of your well and how quickly it fills, this can either be done by hand or with a pump. Once the water has been drained, you can begin cleaning. In the past, lime was used to scrub the sides, but a switch to Javex is more contemporary, and what is currently used today. Scrub the sides with a Javex and water solution thoroughly with a scrub or loofah, and then let the well fill back up with water. Once the first scrub has been done and the well has filled, you need to drain and fill the well once or twice more. Many people suggested pouring a bottle of Javex into one of these refills - if you do decide to do that, then make sure you drain and fill the well at least once more to make sure that the bleach has worked its way out. Some well owners recommended running taps for a few hours afterwards as well, in order to both clear out the Javex as well as clean the pipes that lead into the house. Some also recommended dumping some Javex into the well at the end and leaving it in - but this is really up to you. A second test is an important step, to make sure that the water is indeed cleaned and ready to drink, especially if the first test was questionable, or the well hasn't been cleaned or used in a while. Make sure to wait 48 hours after cleaning before you test, though! If you use this guide to clean your well, or have a different method you would love to share, please feel free to contact me at sarah@heritagefoundation.ca, or by calling 1 (709) 739-1892 ext 5. *After publishing this article, I was contacted by a couple people telling me that this process is called 'shock chlorination' or 'shocking a well' - a term that never came up in my interviews! However, once I knew the term I found some info on the internet, including a great guide found here. Thanks for the tips Andrea and Jane!